The current global demand for mobile apps can only mean booming business for developers. The Android and iOS platforms are currently the dominant platforms in this sector and developers are busy coming up with the next 'big apps' to hit the market. Being new to mobile app development can be a challenging affair if you don't have previous experiences in this field. Furthermore, every platform is unique and requires some patience to learn and get your way around. For Android, a good number of tools have already proved to produce quality apps and it would be worthwhile getting a little background information on some of these tools. This should be the starting point for any aspiring developer. The site gives updates on the ever-improving Android versions, access to the Android SDK, a comprehensive Developer Guide and the Android API reference. On top of this, there is a video section and a blog section that would help developers better understand some concepts of Android development. The page also shows developers how they can publish their apps to the Android market and enables them to contribute to the growing online community of Android developers. Android code is basically coding in Java. Eclipse is an IDE that is most known for its Java friendly environment and is probably among the first tools one needs to download as they start out developing on the Android platform. Google, the creator of the Android platform, have done an excellent job getting the Android SDK to run with Eclipse. The two are almost synonymous to developers. Eclipse gives developers an easy time in getting their code in sync with facilities such as debugging, the DDMS perspective, and a host of other important tools available in the Android SDK kit. On the surface level, Eclipse makes Android development a whole lot better - the object oriented code is easy to write and manage, plus you can get a design view of layout files such as XML based files used in Android code. Designing Android applications might not be as easy as many new developers think. GreenDroid is a development library for the Android platform. It is intended to make UI developments easier and consistent through your applications. Although GreenDroid is a work in progress library, it has already made a name for itself as one of the best libraries intended to help design Android apps. Coding on the Android platform can often lead to doing the same things over and over again. One of GreenDroid's aims is to prevent developers from doing mistakes and copy&pastes. Secondly, GreenDroid comes with some easy to implement and resource conscious resources such as styled tabs and Action bars, which are seen in popular apps such as the Facebook for Android App. The App needs a little bit of polishing up but looks quite promising to Android developers. Other than the above resources, there are numerous blogs and online communities specifically for Android development. It is always wise to join such communities and discussions to share your experiences and challenges as well as download sample Apps written by other Android developers. Taking a look at sample Apps can shorten ones learning curve and can avoid 're-inventing the wheel' by writing code to solve problems already solved. 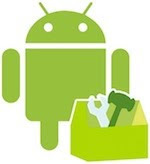 Thanks for compiling this list of highly useful resources for budding android app developers.